Today is Mother’s Day. It is the day in this culture that is set aside to Honor Mothers. It is a day where we are encouraged to express value to mothers. In general the concept is to honor those who you are a child of and those who you have children with. 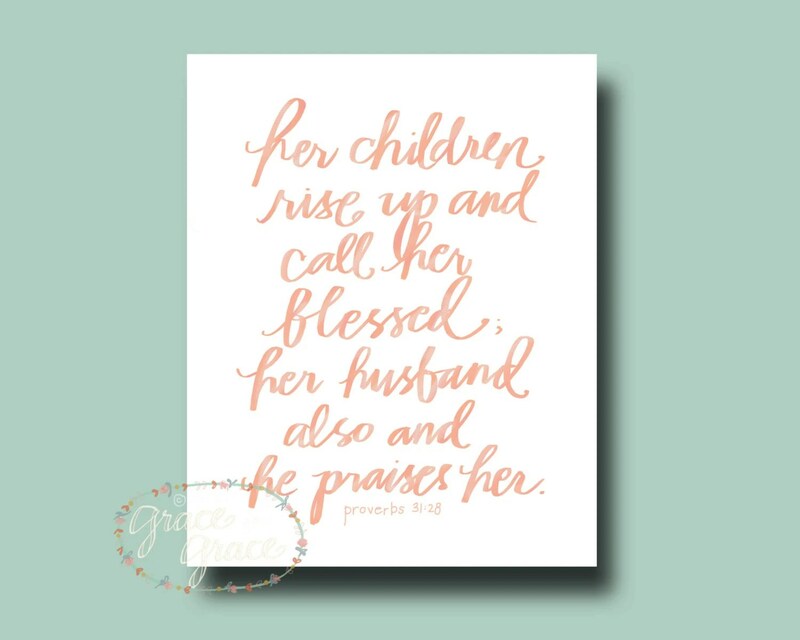 The day is one in which Proverbs 31:28 (ESV) “Her children rise up and call her blessed; her husband also, and he praises her” is practiced. The verse covers both those who you are a child of and those who you have children with. In context that verse is referring to what occurs in the life of a virtuous woman as described in Proverbs 31. Honestly, most mothers fall short of the standard described in Proverbs 31. There are things done that hurt and cause pain and miss the standard of virtue. Yet, even so, there is the need to honor. There is the need to attend to that which is of virtue. The actions described in Proverbs 31 are really about proclaiming the virtue and giving witness to the good things, the virtuous actions. It is really giving acknowledgement to the good that has been done. Personally, this writer does not yet have children. There are hopes, plans, and dreams of the same. Yet, on this day, with no children yet, there are words to say to life up the woman who will one day share the joy of bringing children into the world. There is honor in the steps she takes while awaiting the time of bringing children into this world. Admittedly each day the time gets shorter, but the time taken is of worth and value so that we both may be of virtue in raising children. So, this writer is proclaiming that his wife is a woman to be praised and valued. I honor her. Now, as to this writer’s mother; there has been no one who has more impact on the man I’ve become then her. She engaged in much care and nurture. There were many actions taken that shaped my life course and development. She is even the one who identified and encouraged my life call and profession. She sacrificed on many levels to ensure that me and my brother had what we needed. It is certain, that my awareness of what she poured into my life is only partial for many things actions taken that were well beyond the awareness of a child (and yes, even beyond awareness of an adult child.) My mother did so much to love and build me up that it is need of honor and this writer greatly appreciates what she is done. My mother is one to be honored and blessed for the value of what she put into my life is beyond measure. Now, for the readers of this post, please take time to consider the mother’s in your life. Praise them and rise up and call them blessed. Do so today, and do so beyond such days of cultural expectation. Find the things of virtue and honor that shaped you, and make it know, for as you bless, you in turn are blessed. Today 4/13/2013 news that Brennan Manning left this life on 4/12/2013. He was a man of God, a disciple who now has moved on. Yet, he was a teacher of much controversy. The top of the controversy was that he taught “contemplative prayer” with use of things like emptying thoughts and repeating words. This controversy exists and is out there, yet, I have no question that in He was a true follower of Jesus the Messiah. His teaching and from what I understand even his life was fractured and flawed. He knew fully what it was to experience God’s grace. Yet, he is really know different than any other disciple of Jesus. He tought things wrong, he did things wrong, he was flawed. Yet, he knew what it was to be loved by God. 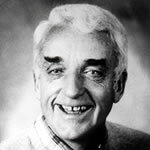 He was a teacher and preacher of God’s love. His messages focused on deepening the understanding of God and His love. This is true for me. I heard Brennan Manning speak at Church of the Open Door in Minnesota two or maybe three times. When he spoke his words and presence displayed and shown the love of God. His words touched to the very core. I do not remember his words or his teaching at that time. I do know what he taught and spoke of on those days changed me. He gave words that brought closer awareness to the love of God. He taught in such a way that got beyond the fractured images I had of God the Father and God used to touch hurt and pain and let God’s love in. God used this man. And for that I am grateful. He served and was used by God and he touch my life and many others. There are a great many quotes out there that demonstrate the truth he taught. It is important to note in God’s economy the words of Love and truth have far greater impact than the things we speak that are flawed, dangerous, or destructive. Truth and love always have greater effect. In closing this article I am posting some Brennan Manning quotes that demonstrate the Truth and Love that he taught that impacted so many. Love. It is a simple word. It signifies something we all so desperately want but it is also so very lacking. Love is the most talked about subject within our culture and everything point to a significant relationship and subsequent children as the apex of love. Yet, ultimately none of us get it. We fail to grasp love. We all wanted be care for and are hurt when we are not. We all desperately want to be loved and to love. It is at the core of humanity. It is why we take on pets for example, to love and be loved. Yet, ultimately we fail to grasp love and are really far from it. 1 Corinthians 13:4-7 (NIV)3 Do nothing from selfish ambition or conceit, but in humility count others more significant than yourselves provides a definition of love: “Love is patient, love is kind. It does not envy, it does not boast, it is not proud. 5 It does not dishonor others, it is not self-seeking, it is not easily angered, it keeps no record of wrongs. 6 Love does not delight in evil but rejoices with the truth. 7 It always protects, always trusts, always hopes, always perseveres.” Our experience of love falls far of that definition. Here is the reason. The definition involves no focus on self. It is looking outward toward the welfare of others. The essence of love is found in Philippians 2:3 (ESV) 3 Do nothing from selfish ambition or conceit, but in humility count others more significant than yourselves. When we love we are emptying of self. We are giving of self. We are focused on the welfare not of self, but of others. However, we are ever self-focused. We are wrapped up in our perception of being loved and are quick to voice when we are not engaged in behavior that is perceived as caring or loving. When we get upset, we do so when someone else has failed to engage in looking out for our welfare and did or said something we find lacking. Such a response is even followed suit in understanding and rejecting God. Many who reject God look at pain and suffering in the world and their own lives and conclude that a loving God could not allow such. So they reject God. Some in that rejection will push simply engaging in looking out for the welfare of others. The refrain is “all we need is love.” Simply look out for others and make the best world today. Yet, lost in it all is the day to day agony when that desire of love falters. The fact is God does look out for our welfare. He never fails. The rest of us fall far short. So, yes we all need love, and love is what we all need, but if you separate that love from the author and source of love it is but illusion. God is the only one who provides full care and love. Yes, the love does provide limits and structures, not out of cruelty, but in understanding what we need and what hurts us. We see that every day with parents and children, choices made and limits set for their welfare often in spite of great protest. Sure, any one of us can demonstrate love to others. We can do good too others apart from God. We can make the best out of life. Yet, it is making the best of what we can. But that falls far short of a life submitted to God, the source and author of love. And none of us have a grasp on God’s love. Our understanding is limited. Yet, as you grow in understanding God, love grow. Love for God, self, and others. It comes as you grow and as you understand and grow the wounds and hurts from the damages of living life heal and allow true forward movement that in turn demonstrates the care for others found in demonstrating true love. We need love. We need God. You cannot separate the two for God is love. 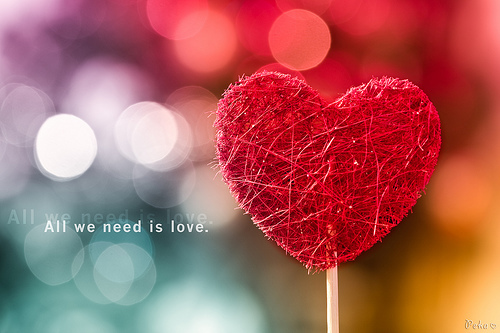 So yes, all we need is love and that need is only found in God, who is love. So God is what we all need, for God is love. Today is a day marked of remembrance of a fateful day when two towers fell in New York city. On this day the memories of the darkness and the evil on man can inflict on another are prime. Remembrance is importance. This blog is not going to reflect on any aspects of that fateful day but rather discuss the ongoing importance of the act of remembrance. It is some God directs us to do and is important to any level of moving ahead and growing. Often we want to forget dark and painful things. Yet, there are important things to bring to attention, primarily the ways God moved. God directed others over and over to remember. First of all to remember Him and His promises as we can often forget. We can become dull of mind and caught up in varied aspects of life and we can forget. God knows our tendency to forget. He directed Israel on several occasions to set up memorials and altars to remember what God has done. He established festivals in Israel such as Passover that focus on remembering what God has done. These things can be easily forget or even set aside off in some dusty corner of our lives and mind. We need to remember. There is restoration and healing in healthy remembrance. Any healthy remembrance is focused on what God did, is doing, and has promised to do. So take time, reflect and consider what God has done, is doing, and has promised. Look back on that fateful day eleven years ago and look at how God dealt with you then, where are you know, and where are you going. As you remember let God move in your heart and deal with whatever needs to be dealt with and surrender whatever comes to light to him. And when you do, when you remember, then praise God, for whatever has been gives chance for God to reveal Himself and each memory is an opportunity to give God praise and glory. Even in the darkest of memories and time. Today, 2/14/2012 is Valentine’s Day. It is a day where love is celebrated. It is day special attention is giving to doing what we believe will let those around us we care about know how much we care. We express love in a variety of ways through words, deeds, and gifts. Every person wants to love and be loved. It is something deep within each of us. God created us in His image, and thus the giving and receiving of love is part of who we are. The moments we experience of love, the moments we give love reflect God. Sadly, our love is imperfect and clouded in our own wants and desires. We love, not simply to love, but to be loved. When we fail to experience love in the ways we perceive we should be loved, we get hurt. Even when experience a touch of love, it does not satisfy. It is not enough. None of us are capable of loving as God loves, we all falter. None of us love purely or are purely loved by anyone else. We all have a skewed view of love. God did demonstrate pure love. We find that love at the cross of Calvary where God in human flesh took on all of human suffering and frailty and providing the way that can save all those that accept His love, truly. Yet, some how we do not really grasp that love. Even those who have believed that God expressed love in such a way so as to enable relationship with Him, we fail to grasp. God’s love is far greater than we can comprehend. We get focused on what we experience. God often feels like this great “other” who lives a “way up there” and fails to act. Thoughts come to mind that if God is love, why does he seem so distant? Why is he not active in the world to reduce the pain we experience? Why does he allow bad things to happen. We does he not prevent unloving actions. Why does he not stand in way of all evil? How can God stand in the midst of great pain and sadness without doing anything to relieve it? Wouldn’t real true love always give what is right and never generate or allow pain? We just do not grasp love at all. What we fail to grasp, is love is not about the momentary, the instantaneous. Love is not about getting what we think we need. Love is not about being flattered and showered with all that is good. No love is the giving fully of all in the midst of where we are. God has given us words to know love is not really about all that feels good. We quote those words often, they are used in weddings and even included in Valentine’s day cards. Take a good read over 1 Corinthians 13 and pay particular attention to verse seven. “Love bears all things, believes all things, hopes all things, endures all things.” That verse does not speak to the absence of difficulty or pain. It does not speak to giving others whatever they think they want. The verse speaks of giving a covering, holding firm, building up in the midst of pain, moving forward in the midst of whatever may be happening. Good, bad, or ugly love bears, believes, hopes, and endures. Love is persistent in all times and circumstances. While our understanding and grasp of love is flawed, what we do grasp and experience reflects God who is love. Not our twisted concept of love based on whatever we think is best for us, but rather love that knows each of us intimately and knows what benefits us, knows even how what we experience will enable us to grow in love. He knows each one, each moment of failed love. He experiences that pain. He knows the depth of the failures in love, yet still what is of love is greater. God has shared that the impact of love in our lives is far greater than any wounding. For in God’s love is all safety, all security, and there is no lack even if we do not experience it in the now. So take time to think about love, think about the people God has brought in your life that touched you for the good and enabled you to experience love, even if you did not get it at the time. Seek to grow in love, for compared to God, our love is but of a child and driven of self but a time is coming when we will mature in love and demonstrate that to others. Our actions of love, however imperfect, always matter.